It’s been more than a year since I started my current job and I have been baking/ making various desserts but no one really seems to get the “idea”. Once, I made mini muffins and stuck a picture of my manager’s face on each one because it was her birthday. And someone asked me why her photo was on each muffin? Is it just a Western thing? 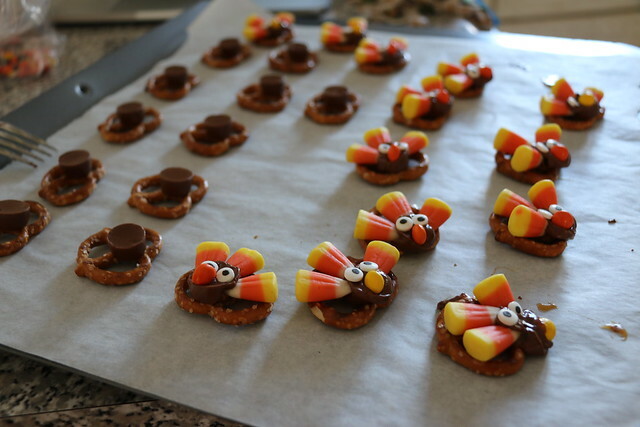 Well this year for a thanksgiving treat, I made these Abordable Candy Pretzel Turkey Bites via Pinterest. Hopefully, these will be more OBVIOUS-looking. 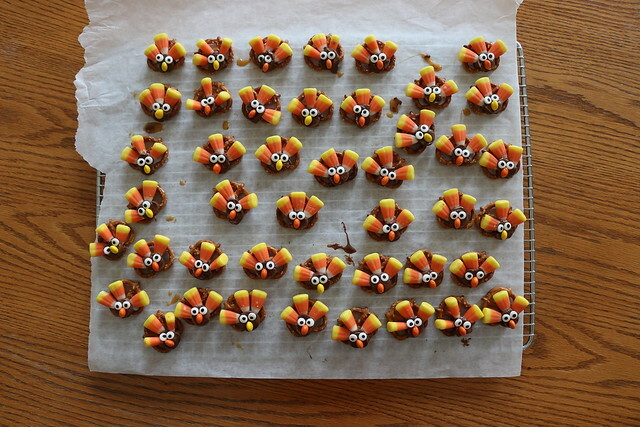 I had a lot of fun making them (on my own) but it took many tries just to get each turkey looking right. My brother came over when I was my second batch and he complimented me! I was starting to get in the hang of things but working on these are more fun when someone has the same enthusiasm as you. 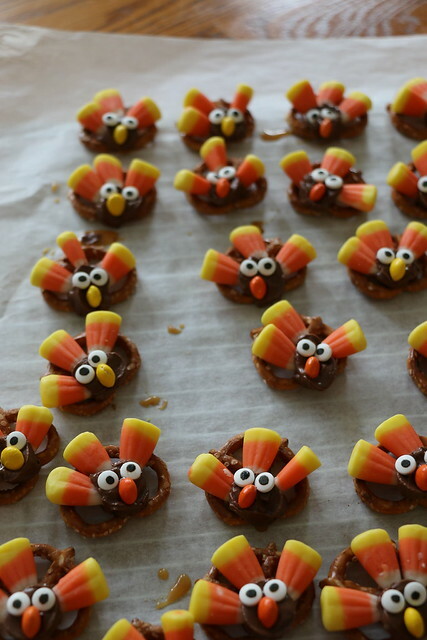 Maybe next year, I will ask someone to make them with me so both of our co-workers will have treats to enjoy (that is, if they get the idea!). I’ll cross my fingers and hope that all goes to plan at work tomorrow! 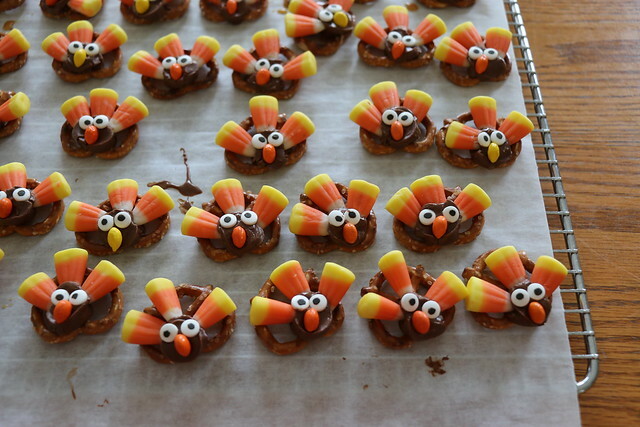 But at the same time, I don’t want these cuties to leave the house or they’ll be gobbled up! Special thanks to my cousin for coming with me to buy the ingredients and Erin for sharing this lovely thanksgiving treat. 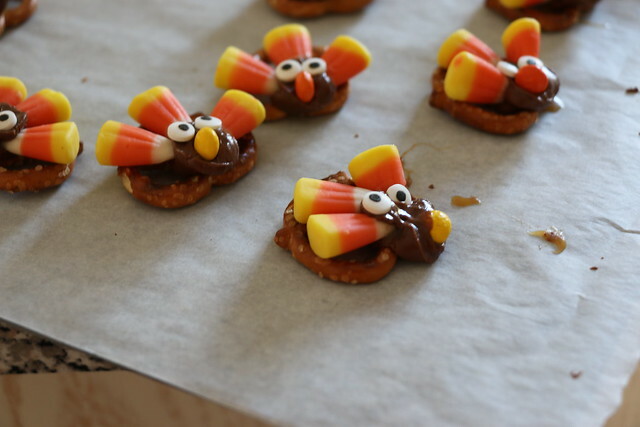 Click here for instructions to make these turkey bites.